Author Elizabeth McCracken joins us this week. 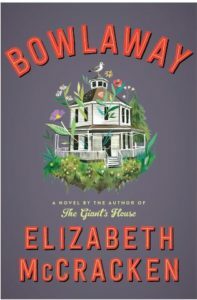 We’ll be discussing her latest novel, BOWLAWAY, out February 5, 2019 with Ecco Press. Writing on the Air is broadcast Wednesdays from 6-7pm Central from the KOOP Radio studios in Austin, Texas. 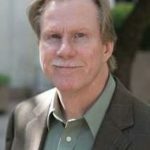 We’re heard on 91.7FM KOOP – Austin and streaming online at KOOP.org, TuneIn.com and Radio Free America. We invite you to browse our episodes here on our website; the audios are available for download from each page. You’ll also find our podcast on Spotify and the Podcasts ap/ iTunes. Episodes remain in the KOOP Radio Free America archive for two weeks after broadcast. Elizabeth McCracken is the author of two short story collections, Here’s Your Hat What’s Your Hurry and Thunderstruck; a memoir, An Exact Replica of a Figment of My Imagination; and three novels, The Giant’s House, Niagara Falls All Over Again, and BOWLAWAY, out February 5, 2019 with Ecco Press. 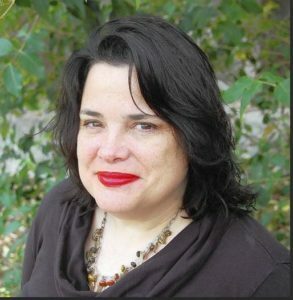 A graduate of the Writers Workshop of the University of Iowa, Elizabeth McCracken has been a finalist for the National Book Award and won the 2015 Story Prize, and has received grants, fellowships, and awards from The Guggenheim Foundation, the American Academy of Arts and Letters, the Radcliffe Institute for Advanced Study, the American Academy in Berlin, the National Endowment for the Arts, and other places. Elizabeth McCracken has taught creative writing at Western Michigan University, the University of Oregon, the University of Houston, and the University of Iowa Writers’ Workshop. She holds the James Michener Chair in Fiction and is Associate Director of the New Writers Project in the University of Texas Department of English. You can keep up with her on Twitter. From the day she is discovered unconscious in a New England cemetery at the turn of the twentieth century—nothing but a bowling ball, a candlepin, and fifteen pounds of gold on her person—Bertha Truitt is an enigma to everyone in Salford, Massachusetts. She has no past to speak of, or at least none she is willing to reveal, and her mysterious origin scandalizes and intrigues the townspeople, as does her choice to marry and start a family with Leviticus Sprague, the doctor who revived her. But Bertha is plucky, tenacious, and entrepreneurial, and the bowling alley she opens quickly becomes Salford’s most defining landmark—with Bertha its most notable resident. When Bertha dies in a freak accident, her past resurfaces in the form of a heretofore-unheard-of son, who arrives in Salford claiming he is heir apparent to Truitt Alleys. Soon it becomes clear that, even in her death, Bertha’s defining spirit and the implications of her obfuscations live on, infecting and affecting future generations through inheritance battles, murky paternities, and hidden wills.